David Byrne and Van Morrison play concerts on the same night. Is your head exploding yet? 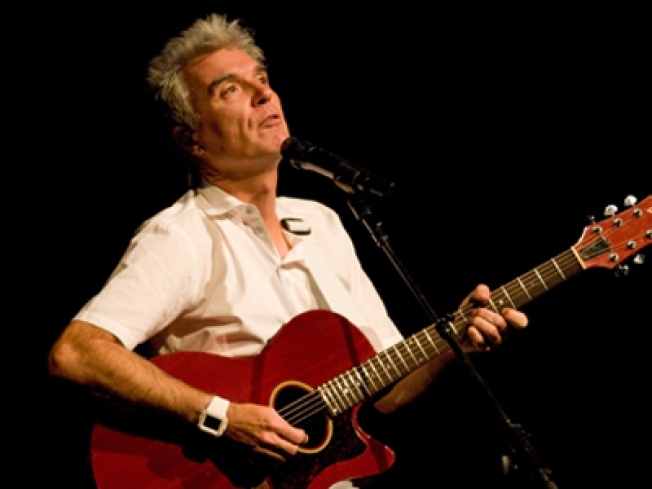 David Byrne lights up the Radio City stage with two shows. ICON NO. 1: David Byrne is like the hip uncle you wish you had -- the one who bought you your first iPod, and packed it full of Czech electronica. So we're excited for him to bring 'Songs of David Byrne and Brian Eno' to Radio City tonight and tomorrow. 8PM. CHANGE IS COMING: During the last Depression, when Fats Waller needed cash, he threw a rent party and charged at the door. The City Reliquary Museum in Williamsburg is doing the same thing: They need to pay rent, and they're throwing a Depression-themed party to do it. Expect fortune tellers, era-appropriate movies, and "Prohibition-era beer" at Brother, Can You Spare Some Rent, 7PM. ICON NO. 2: Wait, Van Morrison in public? Like, the guy himself? Playing Astral Weeks? Seriously: Hear the songs that preceded Morrison's relegation to the romcom-soundtrack ghetto, played by the man himself at the Beacon. 8PM (also on Saturday and next Tuesday/Wednesday).